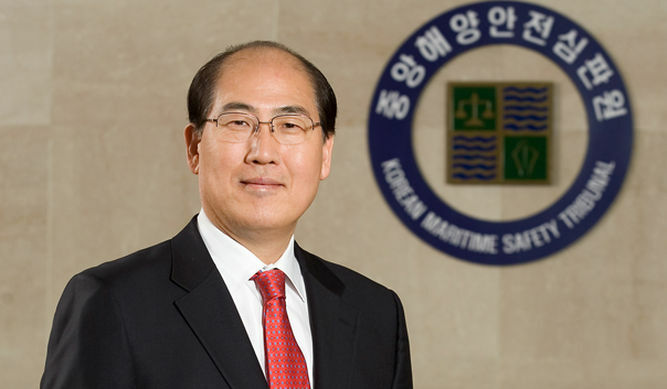 LIM Ki-Tack has been elected as the next secretary-general of the International Maritime Organization in a ballot that went to the wire. With six candidates in the running it took five rounds of voting before Mr Lim was able to collect more than half the 40 votes from IMO Council members. He beat candidates from Cyprus, Denmark, Kenya, the Philippines and Russia. The South Korean will assume the post on January 1, 2016 for an initial four-year term. As we reported earlier in the election campaign, industry experts confided that they want the next secretary-general to be more than a safe pair of hands and in a recent interview with Lloyd’s List, ahead of the election, Mr Lim said that is what he intends to offer. The role of the IMO in international diplomacy will require a firm hand at the rudder as it meets the ongoing challenges of both regional rules from entities such as the European Union and the United States, and the challenge to its credibility with regards climate change rules by the UN Framework Convention on Climate change. There are also those who believe the IMO should listen more to the shipping industry it regulates. The trouble with recent environmental legislation has perhaps driven home the need to have a UN agency that is more collaborative with the industry it is charged with regulating. As the head of the Port of Busan, one of South Korea’s busiest ports, one expects that Mr Lim is familiar with such challenges. The IMO, like other international agencies, is increasingly subject to financial constraints, expected to do a lot more with a lot less financially. Mr Lim needs to be able to balance these ongoing financial considerations with the growing expectation that the IMO will increasingly be called into political discussions on issues that are beyond its original remit. Recent debates on how to tackle migrants at sea is one crucial issue that many see the IMO has having a key role in. The IMO is also increasingly involved in the sustainability debate, again a topic which,strictly speaking, goes beyond the technical remit of the IMO but is non-the-less a topic of growing commercial and societal importance.